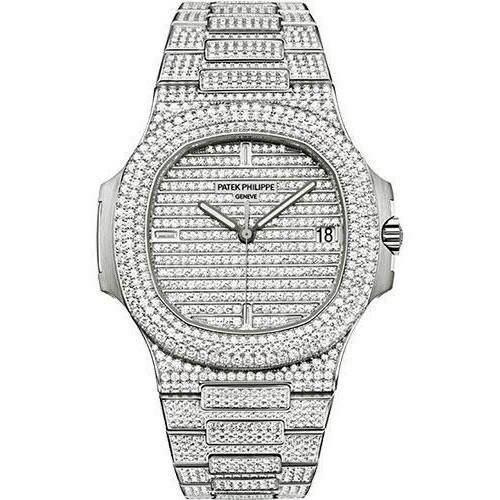 This Patek Philippe Nautilus Watch is astonishing. 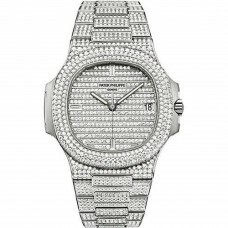 The watch is 40mm and showcases an 18K white gold case set with approximately 1808 high quality diamonds, sapphire crystal back, screw-down crown, diamond paved dial, self-winding caliber 324 S C movement with date and sweep second hand, approximately 45 hour of power reserve, 18K white gold diamond bracelet and is water resistant to 120 meters. 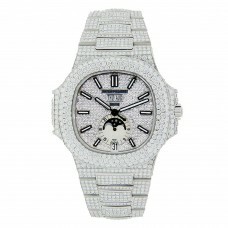 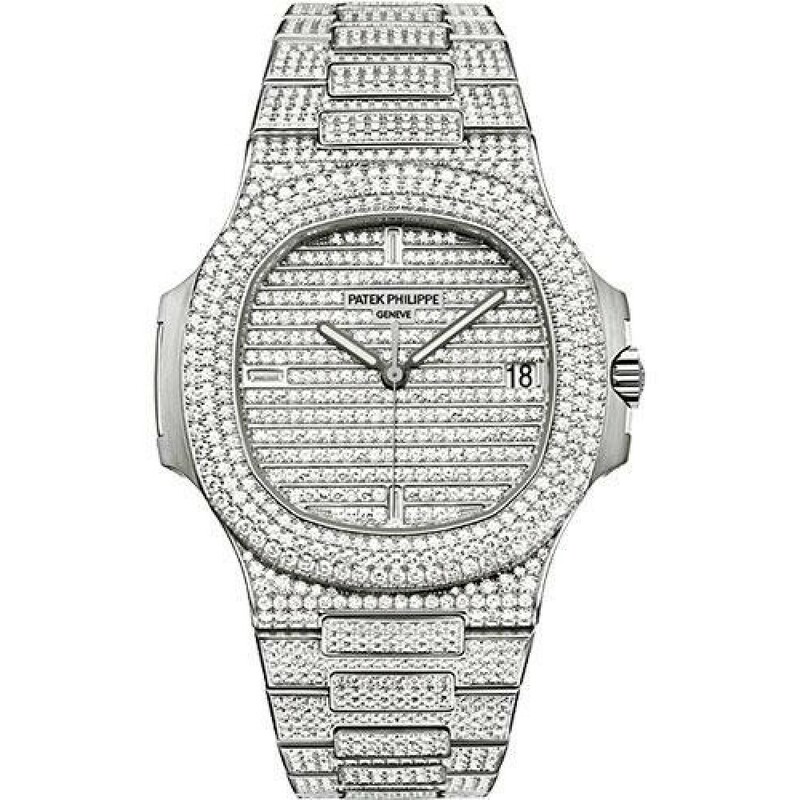 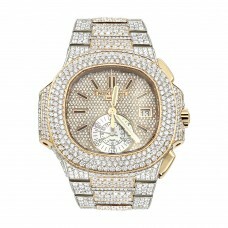 The Patek Philippe Nautilus Watch 5719/1G-001 also comes with 1 year warranty from madina jewelry.